The earlier you book, the more you save with Air Canada Vacations! Book between December 1, 2017 and January 31, 2018 and SAVE $700 per couple & Pay a reduced deposit of $98 (regular price $500 per couple). 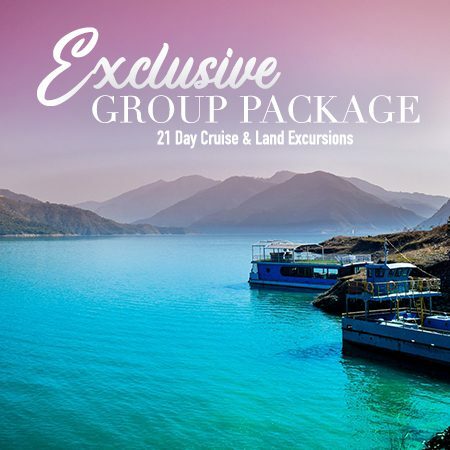 PLUS take advantage of our exclusive offer and SAVE an extra $50 per person when you book with Bains Travel! We have handpicked a few of the top deals, but there are hundreds so contact us directly for more options and pricing! 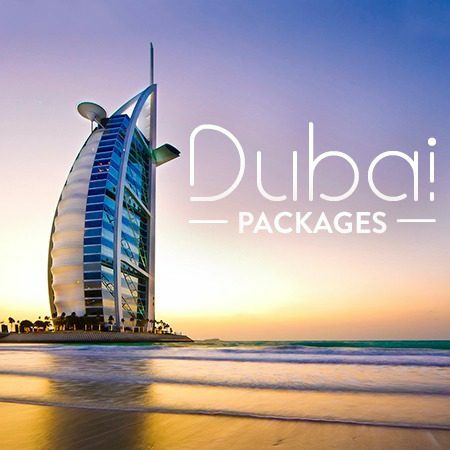 *Packages include round-trip airfare, accommodations and select offers include airport transfers and meals. Offers are subject to availability, are based on double occupancy and include all taxes and fees. INCLUDES roundtrip airfare, and 6 nights accommodation at a 4-star hotel. This luxurious hotel boasts a prime location in Venice, providing the perfect base from which to explore all this beautiful city has to offer. Visitors will find themselves close to the Venezia Mestre railway station, providing easy access to all the attractions in the area and the surrounding Veneto region. 4-star hotels. Explore Greece’s most popular and iconic islands and take in the fascinating history, vibrant culture and charm on this 12-day tour. Begin your trip in Athens, Greece’s bustling capital city, before taking off for Mykonos, Paros and Santorini. Discover the special character of each of these beautiful islands as you explore historical monuments, fishing villages, and lovely beaches. INCLUDES roundtrip airfare and 6 nights accommodation at a 4-star hotel. This luxurious hotel boasts a prime location in Venice, providing the perfect base from which to explore all this beautiful city has to offer. Visitors will find themselves close to the Venezia Mestre railway station, providing easy access to all the attractions in the area and the surrounding Veneto region. INCLUDES roundtrip airfare, airport transfers, breakfast, Train Tickets and 7 nights accommodation at 3-star hotels. Discover Portugal, with stops in Lisbon, Cascais and Evora. From Portugal’s biggest city and capital to a beautiful medieval historic site, you’ll experience this incredible country’s beautiful landscapes and gorgeous architecture, rich history and delectable cuisine and wine. Travel by worry-free rail between each destination and enjoy the sights along the way. INCLUDES roundtrip airfare, breakfast and 8 nights accommodation at 3-star hotels. Explore the best of Greece on a 10-day voyage that takes you to Athens, Mykonos and Santorini. See extraordinary historical monuments, picture-perfect island vistas and beaches, and fantastic art and crafts. INCLUDES roundtrip airfare, breakfast and 9 nights accommodation at a 3-star hotel. Additonals: 1-day Hop-on, Hop-off bus ticket, 1 authentic Italian cooking class with local chef, 3-day Rome Pass, Half-day visit to Vatican Museum and Sistine Chapel, Meals as per itinerary. Discover the Eternal City! Be awestruck in Vatican City and marvel at priceless works of art and impressive architecture. 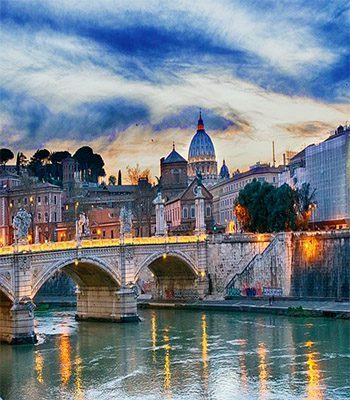 Check out Rome’s countless restaurants, cafés and bistros and soak in the charm and spirit of this wonderful city. Didn’t’ find what you were looking for? 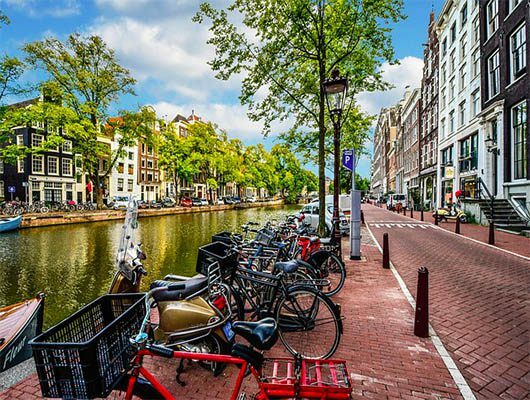 Contact us today find your perfect Europe Package or Tour at the best price! It is a limited time offer so don’t wait! Call a Bains Travel Expert today at 1.888.340.7447 for the best deals on Europe Vacation Packages!